Gordon and Loeb’s “You May Be Fighting the Wrong Security Battles,” showcased a model developed by the two professors to guide company executives’ decisions on the optimal level of investment to protect an information set. For more information, readers can find the entire article here. 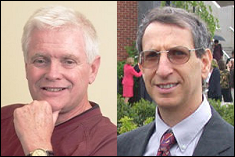 Dr. Gordon and Dr. Loeb are the authors of Managing Cybersecurity Resources: A Cost-Benefit Analysis.